Angie lives in Bryceville and has been a DEC member for the past 15 years. Prior to being elected chair, Angie served five terms as treasurer. Angie also serves as the president of the Friends of the Bryceville Branch Library and is active in her local AAPC (American Academy of Professional Coders) chapter. Wayne is a native of Cincinnati, OH, and served in the US Army from 1972-1975. He attended the University of Cincinnati and graduated with a BA in Economics, and attended the Ohio State University, obtaining an MBA in 1978. Wayne was a sales representative for various medical equipment manufacturers based in Indianapolis, IN and Rochester, NY, and held a position as a marketing manager for a Rochester based manufacturer. Wayne worked on Hillary Clinton’s 2016 campaign in Rochester, NY. He moved to Amelia Island in March, 2017 with his wife Shirley. Jon Kramek has been a Democrat his whole life while living in Florida. He enjoys the values Democrats hold and is looking forward to the next election cycle. Jon has a B.A.S. in Organizational Management and an M.B.A. in Management. He has primarily worked in the software/data and customer service industries. Jon believes we can change Nassau county to blue next elections, and is open to hearing from you on how to make this happen! Go out and vote! Shirley was born in Bowling Green, KY. She went to nursing school in Nashville, TN. She is a retired RN and also holds a degree in Health Care Administration. Shirley spent her nursing career in operating rooms, including 25 years as an OR Director. Shirley worked on the Clinton campaign in 2016, and moved to Amelia Island with her husband, Wayne, in March 2017. Carla has worked with the Democratic Party since moving to Nassau county 11 years ago. In that time, she served one term as President of the Amelia Island Democratic Club and has been a member of the Democratic Executive Committee for 10 years. During her time on the DEC, she has served as Chair and is currently the State Committeewoman. Carla’s professional background is in technical purchasing management and logistics. She holds an MBA from Jacksonville University, and has an associate in Electrical Engineering and a Bachelor degree in Business Administration. A Nassau county resident since 1988, Phil lives in Bryceville with his daughter Jessica. He is a retired small business owner and educator with a degree in Politics from Wake Forest University. He has served as Treasurer, Temporary Chair and State Committeeman of the Executive Committee and is currently President of the Westside Democratic Club. 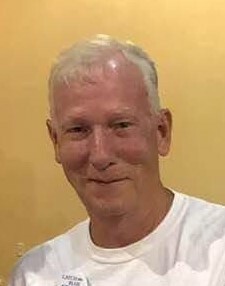 Phil is a member of the West Nassau Historical Society, Callahan Lions Club, Bryceville Friends of the Library, Bryceville Community Club, Greater Nassau Chamber of Commerce and the Nassau County Library Advisory Board.